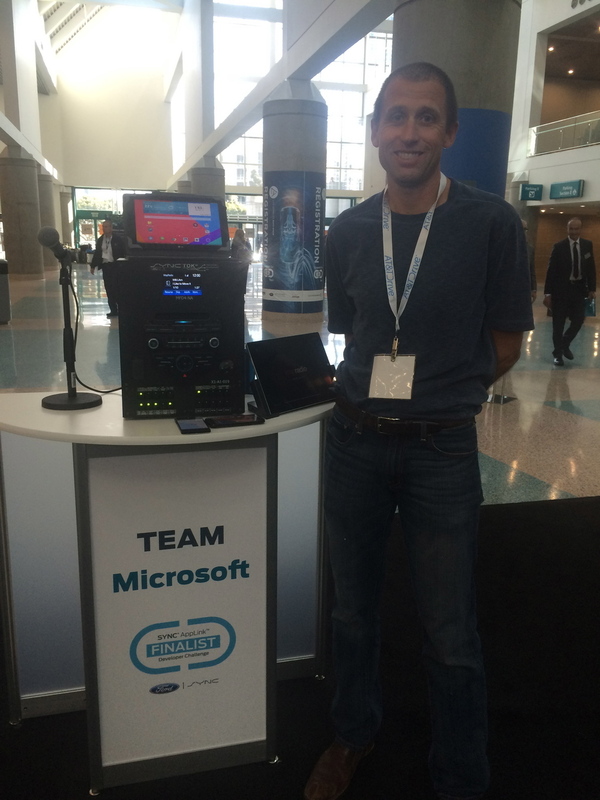 With our recent whitepaper, The Internet of Things: Automotive as a Microcosm of IoT, in mind, the Apps Alliance team was thrilled to attend the Connected Car Expo in Los Angeles November 18-20. 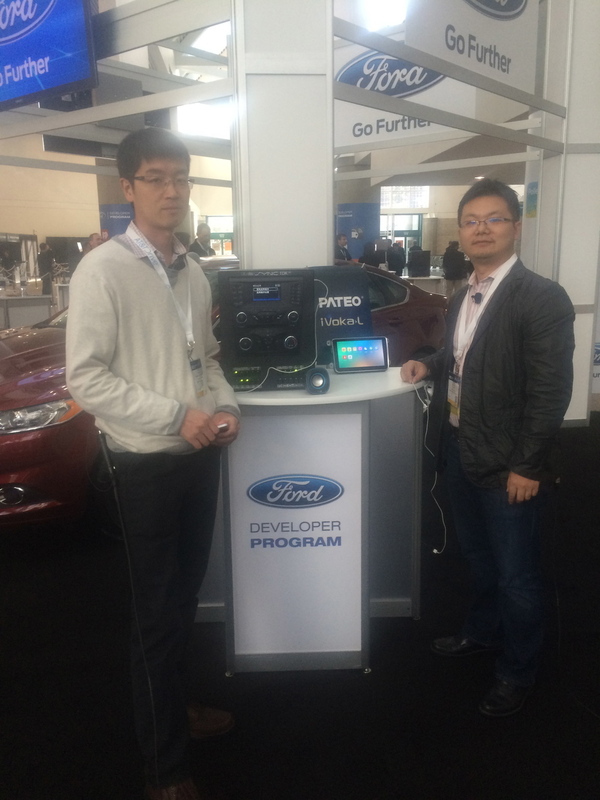 We partnered with the Ford Developer Program to film live demos from the top 10 finalists for the Ford Developer Program's Connected Car-Connected City App Pursuit challenge. View the videos below to see how developers are leveraging Ford resources to create innovative apps to redefine automotive connectivity. We also shot panels live from the Ford booth with industry leaders from Ford, Pandora, SEMA, Cruise, Mogio, AutoTech Council, Applico, and the Apps Alliance. View the videos to hear influential leaders discuss the current state and future of in-vehicle development here. Scott Burnell, Global Lead at Ford Developer Program, discusses the Ford Connected Car-Connected City App Pursuit challenge and the resources available to developers at Developer.Ford.com. The winning app, FuelSignal, is a GPS application that alerts drivers when their fuel level is low and finds the nearest gas station. Users receive a discount on gas and can also pay by mobile wallet at the pump. Live Drive turns safe driving into a fun, social game using real-time traffic data collected from the vehicle. Features include live feedback on aggressive driving with tips on how to improve, parent feedback mode and fun mode that allows you to compete against your friends on a leaderboard. Exploration meets social networking in this app that notifies drivers when they are near an interesting location. Joyride allows users to find a place to play, eat and learn about a new city they are in, and will tell drivers what is interesting based on user input and preferences or places that their friends have visited and liked. Pure Focus builds better drivers through reward-based programs. Drivers can track their safety and share or challenge friends to be safer drivers through an online community of user-driven content. Features include “car-to-car,” which allows users to connect with other drivers and provide feedback on their driving, as well as notifications when drivers enter dangerous neighborhoods. MapRadio offers a personalized driving experience based on user input and interests. Features include weather, traffic, calendar integration, personalized news, accidents, local music, contextual offers, car diagnostic data and routing. Employees no longer have to estimate mileage for expense reports when traveling for business. Trace pre-populatesields when the driver gets into the car and enables the user to log and reconcile expenses at the end of the day. This app is an intelligent companion inside and outside the car, bringing information together to reduce driver workload and increase safety. myLifeSync processes information from the cloud and aggregates data that is relevant to daily life, including preferences, needs and work schedules for easy access in the car. Notify reads notifications from any smartphone app through SYNC. Notifications from apps including calendar reminders, weather notifications and even text messages are read aloud through SYNC so the driver doesn’t have to look at their phone. iAlert is designed to help drivers save time and relieve stress by automatically checking vehicle diagnostic data such as tire pressure, then generating alerts and identifying and scheduling an appointment at the driver’s preferred dealer or service location. 3sACrowd offers callers a more private experience by using Bluetooth and Wi-Fi to detect if there are other passengers in the car. The caller then has the option of declining to place the call if privacy is preferred, and the driver receives a notification about the private call.